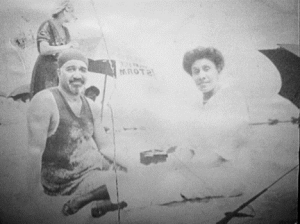 Recently I posted an image on Facebook of my great aunt and uncle at Easton’s Beach in Newport, RI around 1917. I noted my aunt, Lillie Forrester Carr was an early African American graduate of Julliard and went on to become an accomplished music teacher in New York. Her husband, James Dickerson Carr would become the first African American graduate of Rutgers University and later earn a law degree at Columbia University. The image shows a prosperous Gilded Age couple of color enjoying a summer rest in Newport. But the story behind the image today has less to do with summer relaxation, but more to do with the brutal nature of American politics that has taken the African American vote for granted then and possibly to this very day. Back in 1897, Carr, along with other Black New York City leaders met with a Congressman Lemuel E. Quigg, chairman of the Republican State Conventions of 1896 to request that African Americans be appointed to key positions within the city administration for their long time voter loyalty to the Republican Party. Quigg’s response was cocky and smug stating, “I know the Negroes better than they know themselves. You couldn’t drive them out of the Republican Party with a sledgehammer.” Despite African Americans’ deep voting loyalty to the Republican Party dating back to the end of the Civil War, white party leaders were reluctant to share any of the spoils of political victory and dominance – such as government jobs, appointments and programs that would best serve the Black community. Carr and the other African American leaders decided to take their Black political muscle and meet with the leaders of New York’s Tammany Hall Democratic machine. In 1898, Carr and the other New York Black leaders formed the first Democratic Party organization in the country called the Tammany Hall United Colored Democracy. The organization solicited Black votes from throughout New York City on behalf of the Democratic Party and its candidates. In the fall of 1899 Carr was appointed as the first African American Assistant District Attorney of New York County. Later he became Corporation Counsel for the New York City Law Department. Over the years, many other African Americans would win public appointments in New York, and with the election of President Franklin D. Roosevelt and his “New Deal” political platform, African Americans would flock to the Democratic Party across the nation. Carr spent his life with his wife Lillie as political and civic activists living at 234 West 138th Street in historic Harlem. 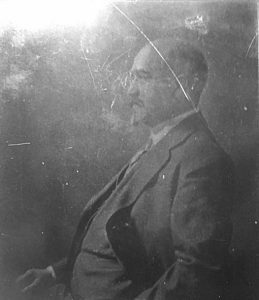 He died suddenly of a heart attack in 1920 months away from an appointment as the first African American judge in New York. The story of James Carr, the Republican Party, Tammany Hall and African American political support can be easily translated today with a Democratic Party, like their 19th century Republican Party predecessor, that may be taking Black votes for granted. While today’s Republican party has made little to no policy or political headway into securing Black votes, the Democratic Party seems to take black votes for granted, particularly in my own state of Rhode Island. Clearly, an overwhelming majority of African Americans who vote, vote for Democrats, but how much better off have we been socially, economically and politically in America? As we head into the 2016 elections, African American leaders today should take a cue from James Dickerson Carr and demand more accountability and political spoils from Democratic leaders reminding them that as Black Lives Matter, so does Black History Matters. This entry was posted in Commentary, Occupations, Personal Observations, Uncategorized and tagged black history, politics by Keith Stokes. Bookmark the permalink. Quigg’s buffoonish statement could come nowadays from any number of clueless democratic party functionaries.